Double leftovers. I made some cupcakes to use up the egg yolks that I had from making a meringue-based frosting for different cupcakes and to use up the leftover frosting itself. I substituted almond extract for vanilla for something different. 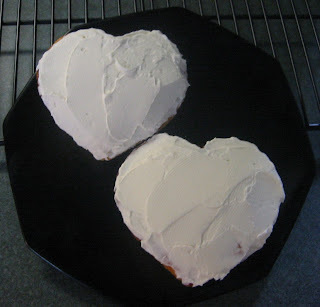 I cut down the recipe since I had 5 egg yolks, but it still made 12 cupcakes and 2 heart-shaped ramekins.